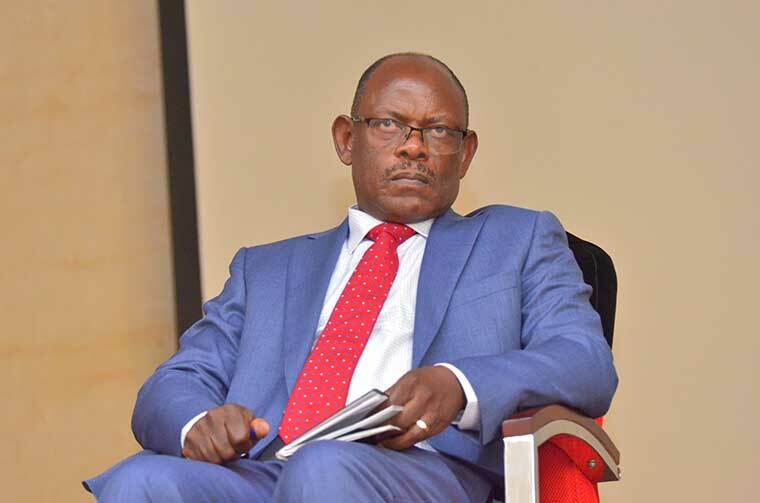 MAKERERE – Makerere university law lecturers have on Monday January 28, jointly blasted Vice Chancellor Prof Barnabas Nawangwe for illegally suspending associations’ heads. The dons in a statement issued on Monday, condemned the Vice Chancellor’s decision to suspend the three Association leaders, saying it is unlawful and unconstitutional. University staff two weeks ago resolved to strike demanding unconditional lifting of the suspension of Dr Deus Kamunyu Muhwezi who is the Chairman of Makerere University Academic Staff Association (MUASA). Dr Kamunyu was suspended on January 17, by the Prof Nawangwe for misconduct. Nawangwe wrote to Dr Kamunyu suspending him with immediate effect for persistently engaging in acts of misconduct and incitement with the intent to cause disobedience and strikes. Prof Nawangwe further accused Dr Muhwezi of key among others; engaging in acts that bring the university and its officials into disrepute, intimidation of university officials, using abusive and/or insulting language, slander, insubordination, making false statements among others. The striking staff also want two other leaders of the administrative staff Association (MASA) including Joseph Kalema (Secretary) and Bennet Magara (Chairperson) who were also suspended by Prof Nawangwe to be reinstated. The School of Law has now written a five-page document of legal counsel regarding the legality of the suspensions and whether the law grants the Vice Chancellor the powers to penalize Association Heads in such a manner. Student leaders at the University last week gave management a 48-hour ultimatum to end their squabbles with staff and lecture the students. The students issued the top leadership of the university up to Friday January 25, midday to end the mess but according to reliable sources, no progress has been registered. Many lecture rooms have been seen empty while others closed as lecturers kept their stance on Nawangwe administration. Students who had come early for their lectures were seen stranded outside lecture rooms as they couldn’t see any lecturers. Victoria Nanyanzi a second year student of social sciences says she came in the morning expecting to have lectures but to her surprise she waited in vain. Mr Salim Were, the University Guild President, said lectures were supposed to start today. “This is very unfortunate because as per the communication we received from management, we were supposed to have lectures effective today but nothing is going on, some lecture rooms are even closed,” he said.